Welcome to a new option in acappella! Bella Nova is about to introduce a whole new way for Washington, D.C., area women to enjoy acapella harmony in the barbershop style! Created to be commuter friendly and family friendly, Bella Nova will generally meet two Sunday afternoons per month, and you and any young singers in your life (daughters, friends, nieces, etc.) are ALWAYS welcome. Whether you’re brand new to barbershop or you’re looking to enjoy the barbershop style in a whole new way, please come see what Bella Nova is all about. Bella Nova will launch in August of 2013 under the direction of notable barbershopper Richard Lewellen. 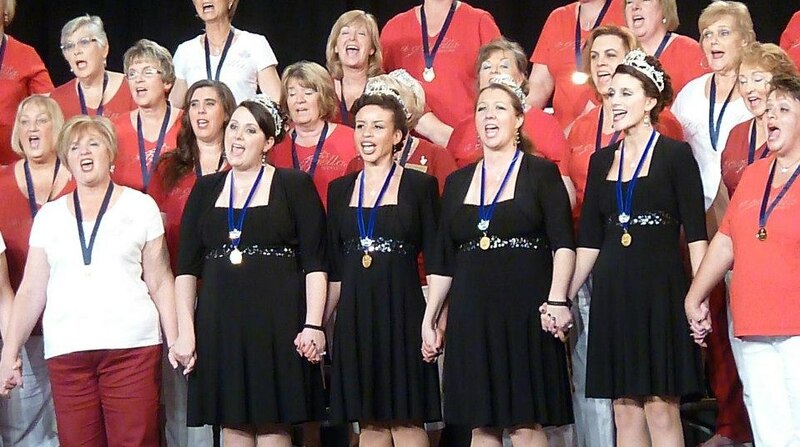 Bella Nova is the first Virginia-based chapter of Harmony, Incorporated, an international, non-profit organization whose purpose is to empower all women through education, friendship and a cappella singing in the barbershop style. Stay tuned to this site and be sure to “like” Bella Nova’s Facebook page for more information about our upcoming kick-off event. Check out our FAQs for more information about how Bella Nova is a fresh, new approach to barbershop.